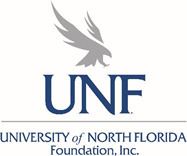 One way in which the Florida First Coast Chapter promotes the ongoing development and skills-building of its members is through monthly program meetings where members and their guests can network with peers while learning the latest trends and techniques in the field. 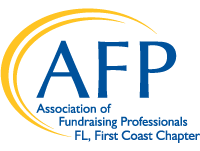 AFP Florida First Coast Chapter meetings are offered to accommodate our members' varied and busy schedules. Thank you to our 2019 program sponsor! The AFP First Coast Chapter is offering a discounted price for the program meetings in 2019 when you purchase our bundle package of 8 meetings. There are 8 program meetings for 2019 and the cost to attend each meeting will be $30 for members and $45 for non-members. Buying each separately would cost AFP members $240 and non-members $360. AFP members can register for just $200 for the 8 monthly meetings, a savings of $40. Non-members can register for just $320, a savings of $40. Package only valid for meetings in 2019. Package not valid for the February All-Day Seminar (2/8), any member socials, or December Holiday Luncheon (TBD). Bundle members MUST RSVP to afpfirstcoast@yahoo.com before each program meeting to confirm your attendance. January 16, March 20, April 17, May 15, July 17, August 21, September 18, October 16.